Sorry for my absence...one of those tough-life things happened last week. Everyone's ok. But it made blogging seem extremely insignificant. Whew. But now I'm back. Our yard has taken to nicely! (see its reduced state here, and mid-sod here.) Hopefully we will have a complete "after"-ish yard photo here shortly. 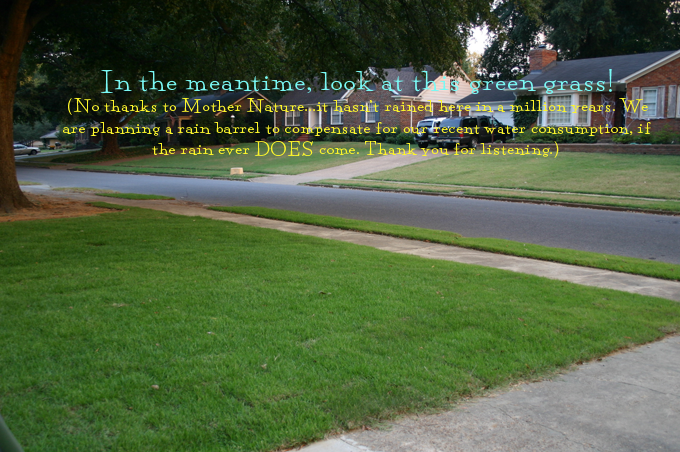 Memphians UNITE in praying for rain and an end to this ridiculous drought! Sheesh.